I Will Be Happy to Assist You with Any of Your Questions or Problems Regarding Tango, Milonga, & Vals. 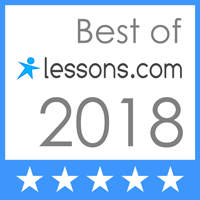 I “Work the Dance Floor” All Night Long to Help You, at Your Request, with Anything You Wish to Revisit: Basics & Fundamentals, Leading & Following, Dance Technique, and Reviewing Dance Steps at All Levels. We now offer a “Volume Discount Tango Class Card,” good for our entire Tango Program (including Wednesday Tango Practice Night,) that will afford students a substantial discount: a 10-Class Tango Card for $150 cash, or $160 check. For inquiries and more information about Volume Discount Tango Class Cards, contact Paul Palmintere at TangoTutor@Cox.Net or (702) 463-1253. Paul Palmintere is a long-time Tango Veteran from Southern California, and is among the most highly qualified of Argentine Tango instructors. He was a founder of the large Los Angeles Tango Community in 1986. He brings over 32 years of training & experience to this dance, and has been a major instructor since 1994. He has trained extensively with a great many of the famous instructors of Buenos Aires. A highly experienced & respected teacher, Paul is well-remembered for his pioneering classes throughout Southern California: Hollywood, Burbank, Los Angeles, Orange County, Riverside, Redlands, San Bernardino, Palm Springs, and now Las Vegas & Anthem in Henderson. Website Contains Details, Information, Class Schedule, Special Events, Photos, & More! Attending a “Practica” regularly, every week, the secret to becoming good at Tango. This is a dance activity rather unique to the World of Tango. A “Practica” is a practice session for Authentic Argentine Tango, Milonga, & Vals. 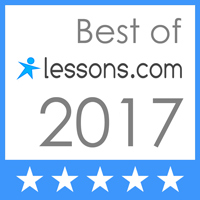 It is not a dance class, nor a social dance party; rather, it is an informal session at a dance studio that allows students to review, practice, ask for help, exchange ideas with others, make mistakes, seek corrections, and generally explore the many variations & possibilities on any given theme in Tango, Milonga, and Vals. The lights are up, the music is low, and the dancing is start-and-stop. Usually there is a “guide,” host, or organizer present to help you, at your request, with things that you may need to work on: everything from leading & following and dance technique, to reviewing material that you have studied in the past. I “work the dance floor” all night for you, to assist you with anything you may want to work on in Tango, Milonga, or Vals: basics, fundamentals, exercises, dance technique, leading & following, music & timing, reviewing patterns, etc. Attending the “Practica” on a regular, weekly basis is crucial to mastering Tango. Students & dancers (and particularly men) can never truly achieve any level of proficiency unless they attend “Practicas” regularly every week. “Tangueros” (Tango enthusiasts) in Las Vegas are simply not dancing Tango enough, compared to their counterparts in other cities. So, I hope you will all add another dance night to your Tango schedule, and reserve your Wednesday evenings for this important “Practica.” Join the best Tango dancers in our Las Vegas Tango Community to establish Wednesday night as a new Tango tradition: Wednesday Tango Practice Night at Step By Step Studio @ The Stage, in Anthem. 1) DANCE 4 LESS, DISCOUNT DANCE SHOES & DANCEWEAR, 2700 E. Patrick Ln., Las Vegas, NV 89120. This is at the corner of Patrick Ln. and Harrison, just east of Eastern Ave., and north of Sunset, near a Walmart Super Center. They are open till 6pm, I believe. Phone: (702) 262-7946, email: Service@Dance4Less.Com, and website: www.Dance4Less.Com. If you mention that you study dance at Step By Step Studio @ The Stage in Anthem, you will receive a discount. 3) You might also want to check out STAR COSTUME & THEATRICAL SUPPLY (they carry “Coast Ballroom Shoes”), 3230 S. Valley View (at the northwest corner of Valley View & Desert Inn), Las Vegas, NV 89102. Phone: (702) 731-5041, and email: StarCostume@Yahoo.Com . They are open Mon-Sat 10am to 6pm. 1) Yolanda Rossi, in Glendale, CA, is a wonderful Tango clothes designer, and imports the best Tango shoes from Buenos Aires and Europe. She is also a wonderful dancer & person from Buenos Aires, and a former Tango partner of mine. You can visit her website, www.TangoSplash.Com, and I believe she may even have an alternate site just for shoes alone. You can email her at ShoesByYolanda@TangoSplash.Com. Her phone is (818) 244-2136. A Beautiful & Modern Dance Facility in a Very Nice, Safe, & Upscale Area — In Anthem, in Nearby Henderson, Nevada — 12 Miles South of the Las Vegas Strip, and 4 Miles South of the 215 Freeway @ Eastern Ave. Located between Southern Eastern Avenue and Anthem Parkway, in Anthem in Nearby Henderson, just Past the Point at which Anthem Parkway Branches off from Eastern Ave.
From the 215 Freeway, take Eastern Ave. south about 4 miles: Go past Silverado Ranch, St. Rose, Coronado Center, Horizon Ridge, Sunridge Heights, Summit Grove, and Beckler. Anthem Parkway will branch off to your left. Follow the signs & arrows that say “Anthem” and this becomes Anthem Pkwy. The next traffic light is Reunion Dr. Turn right on Reunion Dr. Turn right a 2nd time on Anthem Village Dr. (there is a CVS at this corner). Turn right a 3rd time into the first driveway on your right (at this corner there is a sign or banner that says, “Anthem Village Dental;” and also a tall 2-story red building, named at the top in large letters, “2500 WEIL & DRAGE, ATTORNEYS AT LAW”). The Stage is far in the back, among a group of buildings that look like medical & law offices (look for a large banner saying “THE STAGE” on building #2510). We now offer a “Volume Discount Tango Class Card,” good for our entire Tango Program (including Wednesday Tango Practice Night,) that will afford students a substantial discount: a 10-Class Tango Card for $150 cash, or $160 check. contact Paul Palmintere at TangoTutor@Cox.Net or (702) 463-1253.